So in a slow week for my pull list (literally one title that I've covered twice already) I'm going off topic and hitting up some Rick and Morty. 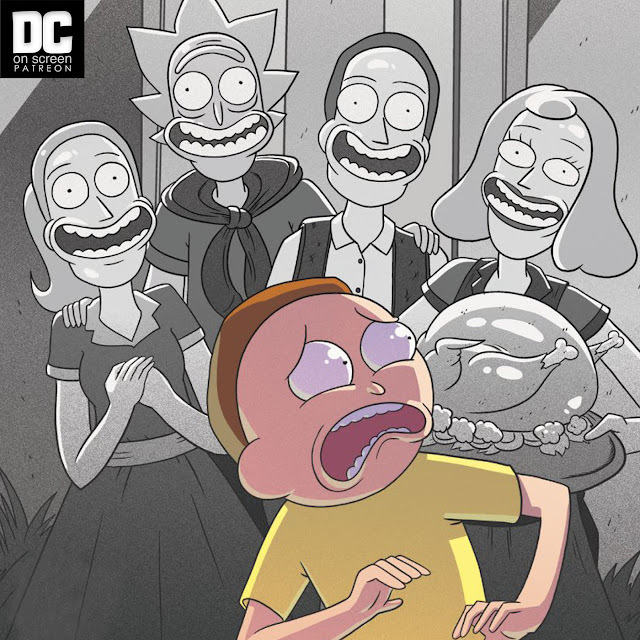 Yes, yes, we'll be back to DC in a few days (The Batman Who Laughs #4, I believe), but until then why not divert ourselves with some good laughs and a great on-page representation of the Rick and Morty universe? Can't think of a reason? Well, I couldn't either, so that's how we got here. I apologize in advance for my half-assed Rick and Morty readings. God help us all.